Color therapy is something practical and fundamental to getting a good night's sleep. There are color schemes that are good to look at but in the bedroom you need a color scheme that will help you relax and induce sleep. Guest blogger Niight Wind is writing about using color therapy to get the best night's sleep simply by following a few simple rules. What if the way you decorate your house could help you sleep better, wake up energized and lose weight? Color therapy also known as chromo therapy, has been around for over 2,000 years and it can do just that. In today’s world it is used by Doctors and Holistic Practitioners alike. Today I will be focusing on how you can use these healing properties in your bedroom. The average person spends over 100,000 hours of their life sleeping, why not make those hours more pleasant for you? 1 Difficulty falling asleep is common in this busy, stressful world. The best color remedy is to use shades of blue, green and violet in the bedroom to calm the nervous system. These colors are considered cooling and can help to lower body temperature, preparing you for sleep. The average person sleeps best in a temperature of 68 degrees. Rooms that are overheated or beds with too many layers can make you restless and interrupt your sleep. Even though bold colors are trending, choose the shade, tone and mood of a color that speaks to you the most. Use accents to get the final result, layering in other colors as you go. Ever seen so many beautiful soft and relaxing greens? 2. Waking up can be difficult, especially if your bedroom gets morning shade. Increase your energy and wake up easier with the color gold (use a flat gold or muted orange yellow with white) or muted yellow. These hues are bright enough to promote a sense of increased happiness and well being without being overtly intense. 1 . Red is associated with activity, high-energy and even anger. On walls it can cause increased energy, making it perfect for the dining room, but when you are trying to sleep that can cause frustration and irritability. Red is also known to increase blood pressure and even your appetite. 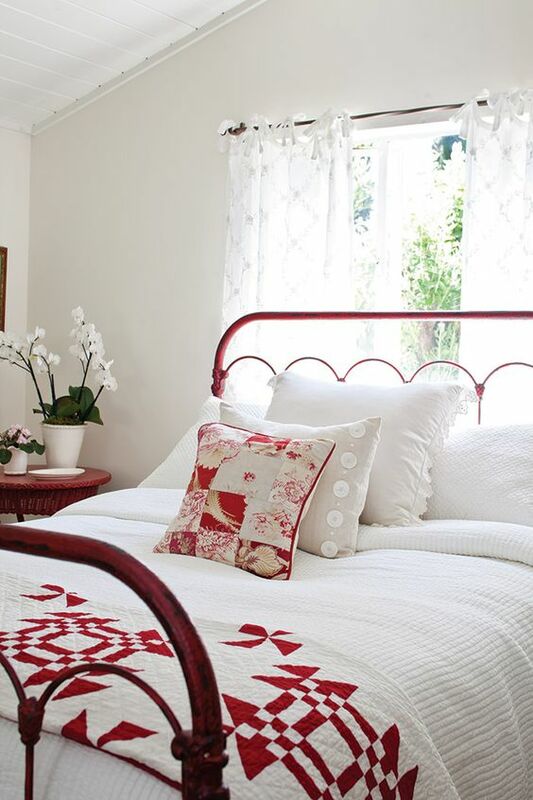 If you love red, choose a red that is more matte, or add a hint of lilacs or browns to soften it. You can get the drama without the irritation by adding it as an accent instead. 2 . Not all whites are suitable for the bedroom. 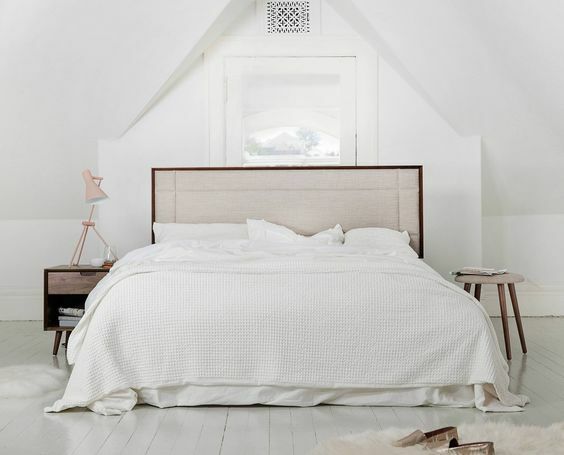 While most homes and apartments play it safe with white walls, a white that reflects too much light, or glare, can be difficult to wake up to. White comes in so many shades. 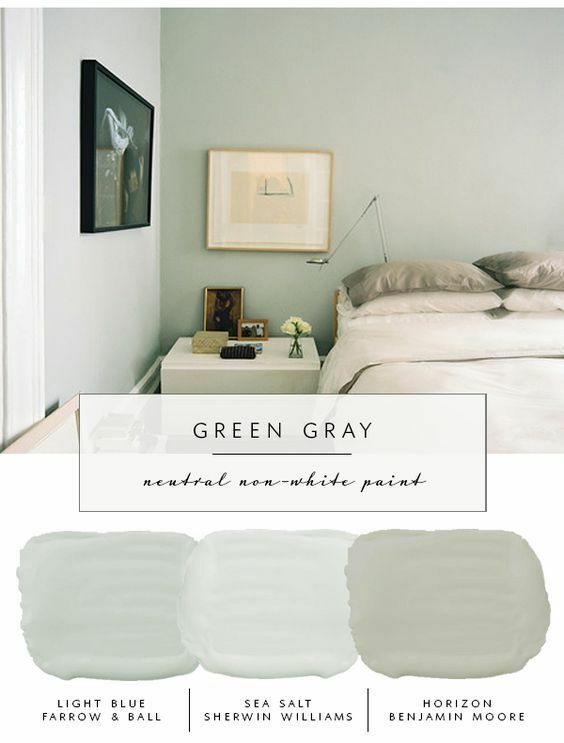 You can add a light tint of another color like gray to soften your white. 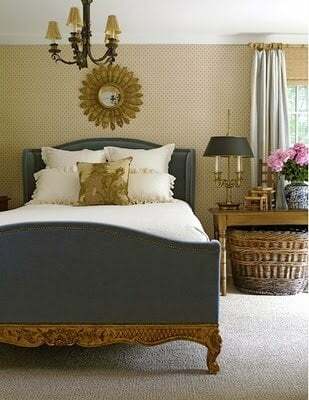 You can also add large or dark pieces of furniture to balance and ground your bedroom and absorb some of the brightness. 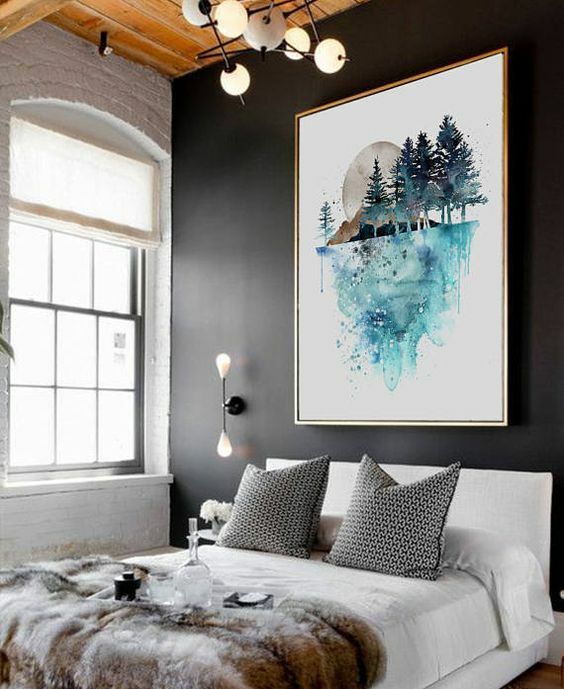 Large pictures with the recommended color can really change the energy in a room. 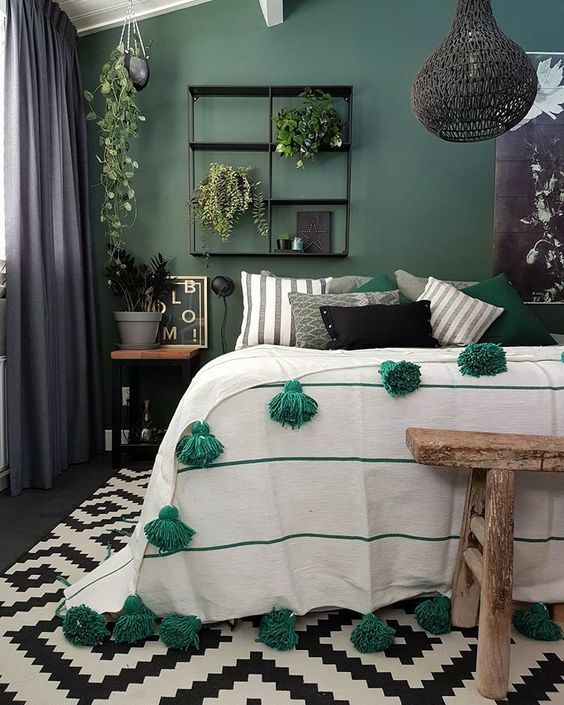 A large piece in deep greens or blues will create a focus feature that you attention will be drawn to as you drift off to sleep. Like floating on your back, drifting away on a lake or in the ocean. 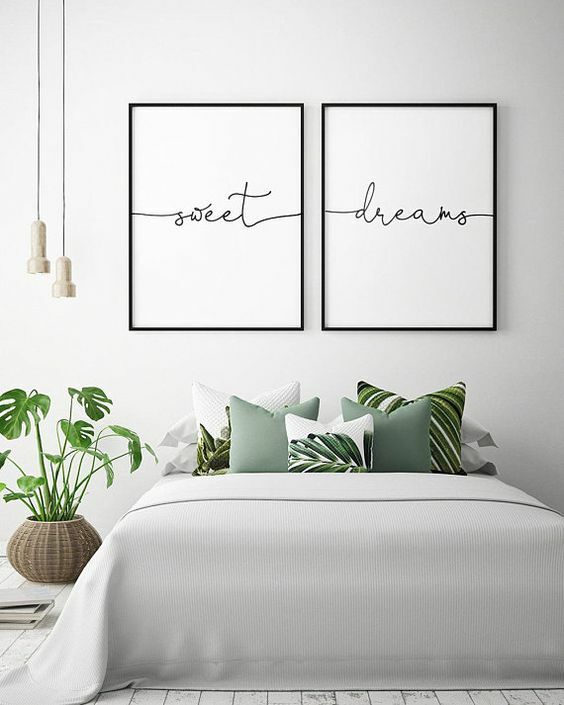 Add a decoration or object with your preferred relaxing color in an area where it will be the first and last thing you see when you wake up or go to bed. If your decor doesn't sit well with these relaxing hues, but you still want the results, add bed linen in these colors. Even if they are not seen by you, the colors vibrate at a more harmonious rate for sleep. 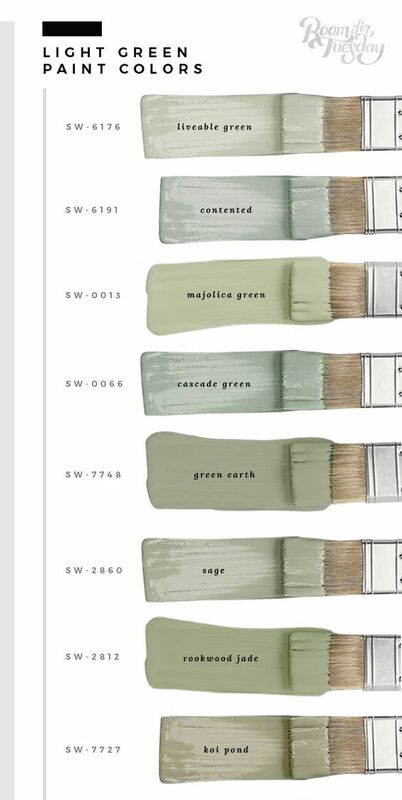 If you have a different color that makes you feel great and it is not listed above, use it. After all the whole point is to make you feel good. Have fun playing around with color in your bedroom. 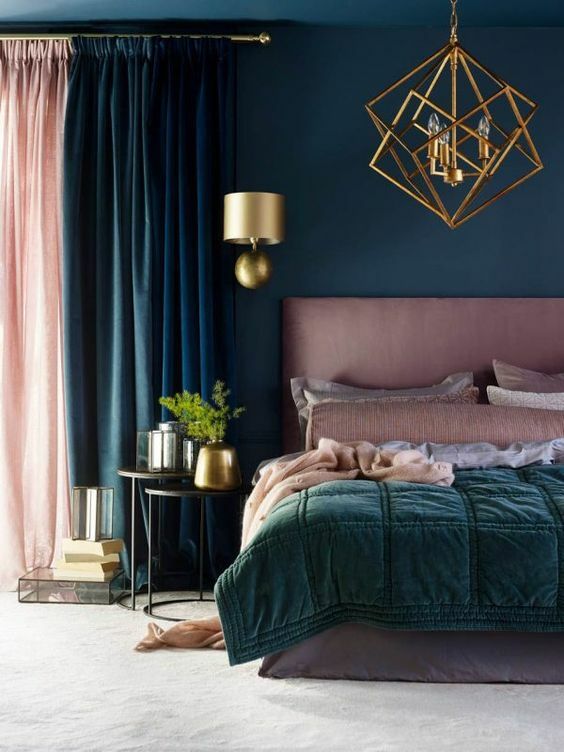 If you need more than color therapy, think about the other elements in your bedroom, like the amount of light or sound coming into the room that might be disrupting your sleep patterns. Of course, you should think about your mattress, do you sleep on your back or your side? Sleeping on your back needs one type of mattress and mattress topper; if you sleep on your side you want to make sure you find the best mattress toppers for side sleepers. Sleep is so important, you need to make sure you get the best night's sleep every night. Guest Writer - Niight Wind is an Ayurveda Diet and Lifestyle Coach Specializing in Digestive Health and Overcoming Trauma. She is a sought after speaker who has presented at Ignite and numerous Universities and museums. Niight also writes for The Yoga Connection Magazine and her blog Ayurveda at a Glance.